By default, every Databoard is publicly accessible through its unique private URL. 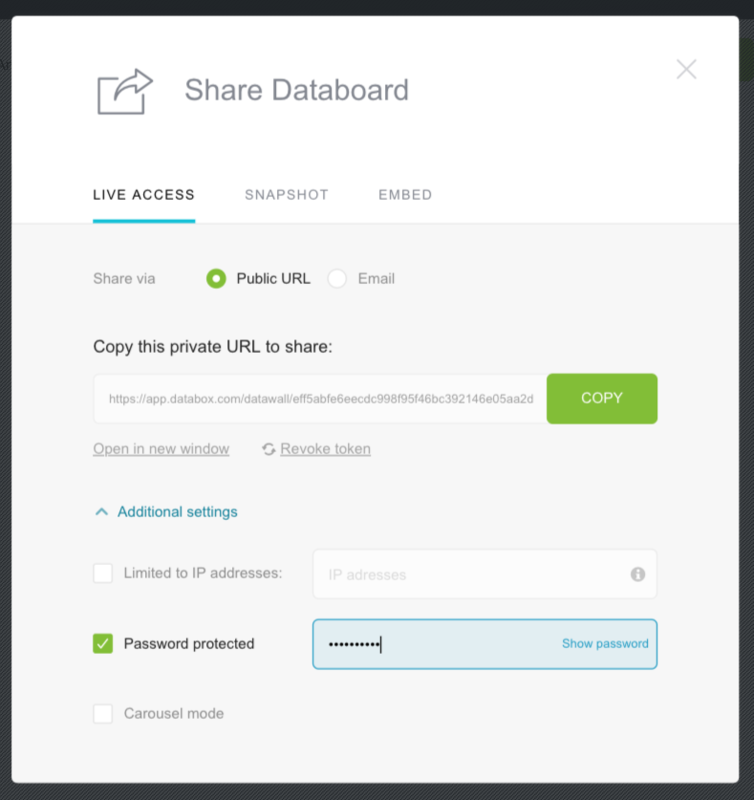 If you want to restrict access to this link with a password, you can set it in the Share Databoard window. You can also open Sharing settings from the Designer. You will find the same icon in the top menu. 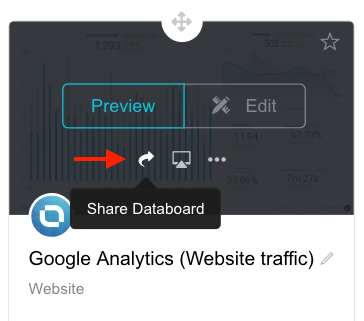 Click on Additional Settings in the Share Databoard window. Click the Password Protected checkbox and enter your password. Your password will be saved automatically. Once you have completed these steps, open a browser window and enter your Databoard's Streaming URL. The password field will show up before allowing access to the Databoard. After entering your password, your Databoard will open on your screen. NOTE: To make your browser full screen, click command + Shift + F.